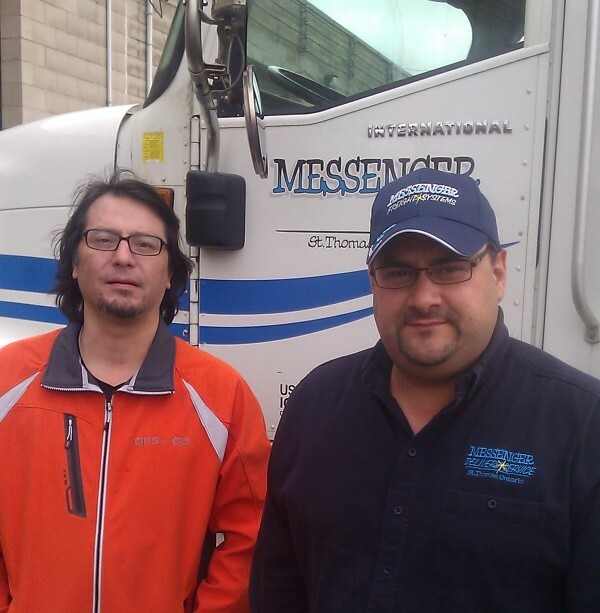 Messenger Freight from Cambridge Ontario recently approached GPS to GO to replace their outgoing GPS tracking systems in October of 2012. Messenger Freight was looking for an effective solution that could be quickly installed, and with an intuitive web platform that would allow them to easily see and manage their multiple grocery delivery points. 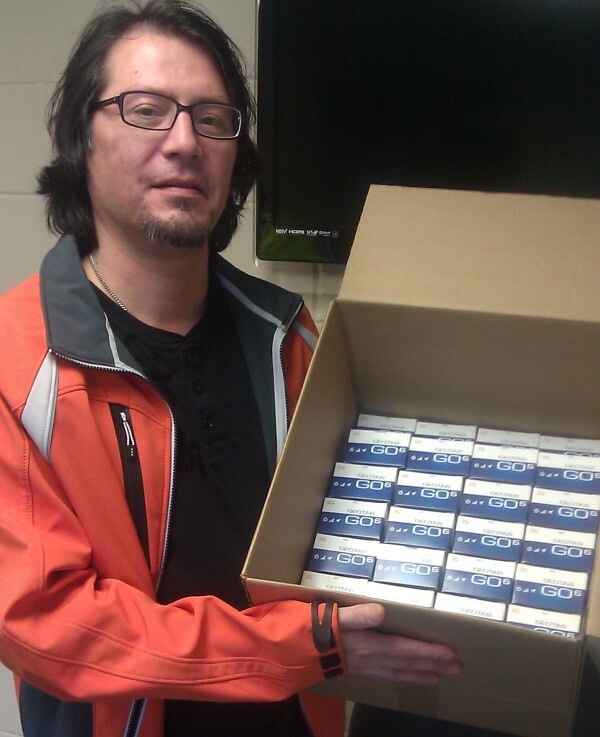 Here we see senior tech support technician Len Collins accepting their first box of 80 plug-n-play GO6 tracking devices. Here is Mr. Collins again with Messenger Freight’s delivery person, Evan Wilson on a delivery. All in all, Messenger Freight was thrilled with the ability to install over 80 devices on their own and at their own pace with our plug-n-play GO6 devices and easy-to-use J1939/ J1708 adapter cables. We at GPS to GO, are thrilled to be able to provide them such an effective solution for their business.